I have always taken advantage of New York City. I’m a licensed NYC tour guide. I walk the bridges every chance I get, most often the Brooklyn Bridge but if it’s too crazy, the Manhattan Bridge. I walk from the Upper West Side through Central Park to SoHo and back home to Brooklyn Heights. I explore the neighborhoods, try new restaurants, go back to old favorites. 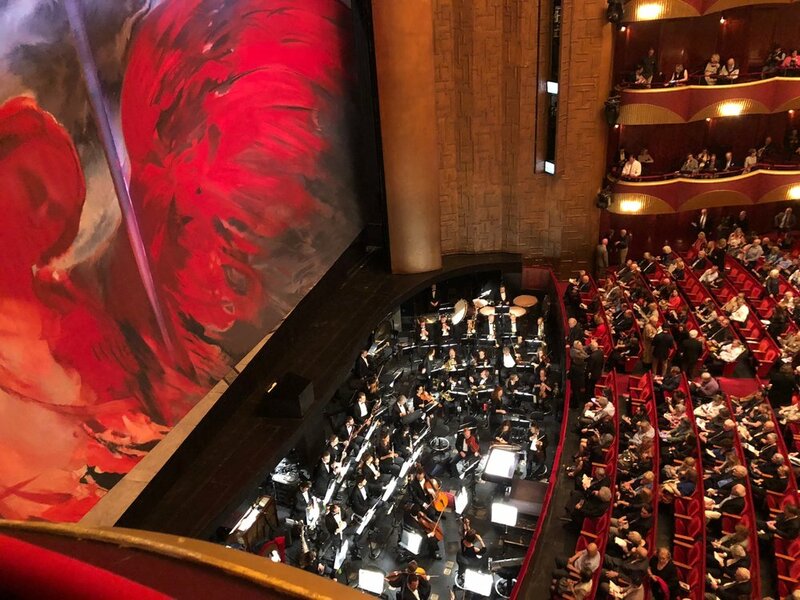 I go to the opera and to Broadway shows. I grocery shop at only-in-NYC places like Sahadi’s, Kalustyan’s, Eli’s Manhattan, Raffetto’s for fresh pasta, Di Palo for mozzarella, Zabar’s, and Citarella - and in Brooklyn, Union Market, Fish Tales, Staubitz Market, Perelandra, and Fairway. Plus Whole Foods Gowanus, of course. But one thing that has been on my list for 10 years has been the famous Panorama at the Queens Museum. And we finally went there this weekend. Built for the 1964 World’s Fair, the scale model of NYC’s five boroughs (where 1 inch=100 feet), is just so cool. You can really grasp how huge and small it is at the same time. What hit me the most was all the memories that swept over me looking at the city - from the Statue of Liberty to the George Washington Bridge, from Lincoln Center and the Museum of Natural History to The Metropolitan Museum of Art and Washington Square Park. I tried to find the street I first lived on (binoculars would have been useful), Thompson Street. I looked for the street I currently live on. I looked at JFK and LaGuardia and wondered how many times I have flown in and out of the city. I looked at the whole chaotic, beautiful city and my heart almost burst. Then we walked through Flushing Meadows-Corona Park, by Meadow Lake (a lake literally surrounded by highways), and over to Forest Hills, a neighborhood I love in Queens. We didn’t have time to stop into Natural Market on Austin Street, pick up dumplings at Bangkok Cuisine, or wander through the gorgeous Tudor homes in Forest Hills Gardens. We had to get back to the baby. But I’m happy to have checked another thing off my never-ending NYC list. The Unisphere, built for the 1964 World’s Fair. I loved traveling with two-month-old Sophie to Milan (just over 3 hours from Zurich on the train) and can’t wait to show her these photos when she’s older. I’ve even already blocked out the massive, annoying flight delay on the way home to NYC. A baby forces you to slow down. (No sh*t, said every mom everywhere.) Honestly, this is still the hardest part of adjusting to baby life for me, even when we are home. We stuck mostly to the touristy center of Milan, near our hotel - the fantastic Mandarin Oriental, Milan. We stayed at the hotel for dinner twice and went out once. And we spent most of the days exploring, giving her (and us) a break in the late afternoons. The beautiful old-world cafes Marchesi 1824 (now owned by Prada) and Cova (now owned by LVMH), basically right next to each other on Milan’s fancy Monte Napoleone shopping street. Staying at the Mandarin Oriental - there is just nothing like returning to a fancy cocoon after a day in a European capital. It’s the best location, five minutes from the Duomo and Teatra la Scala (opera house), with great people watching. Pro tip: Get the bright green minestrone soup at the bar for a pasta break. It’s so good. Scoring same-day tickets to The Last Supper thanks to the Mandarin’s concierge team. It made me want to reread The Da Vinci Code, but it is truly spectacular, though much more faded than I expected, and somehow looks alive. Get there at your exact entry time! A visit to gourmet grocery store Peck - the produce made me wish I had an apartment to cook in. A bubbly, fun lunch at Luca e Andrea in the Navigli canal neighborhood (not L’Altro Luca e Andrea). Luca e Andrea was the perfect tiny gem for lunch, filled with Italians and Nancy Meyers-movie music. The canal area is fun to explore, but I’d never go on a busy summer Saturday. Best during the week in the off-season. Walking to 10 Corso Como, Milan’s original fabulous shopping center, and getting coffee at the cafe, plus shopping at the enormous Eataly. I can’t help but love Eataly all over the world. Dinner at Giacamo Bistrot, a great neighborhood spot a 20-minute walk from our hotel. A stop at La Rinascente, Italy’s famous department store, and checking out the 7th-floor food hall, with great views of the Duomo from the restaurants. It’s not the best department store food hall I’ve been to (that honor goes to KaDeWe in Berlin), but worth a stop. Trying a famous panzerotti (basically a pizza Hot Pocket) at Luini - the lines get crazy around lunch, so try to go right when they open. Visiting the top of the Duomo on our last morning. It had been 17 years since my last visit and I’m so glad I did it again. So worth it! I had grand plans to visit two highly praised museums - Armani Silos and Fondazione Prada (there’s a cafe there designed by Wes Anderson!) - but next time. Other restaurants on my list: Al Porto, Sadler, Il Cavallino, La Pesa Trattoria 1902, Cracco’s - but we’ll need a baby-sitter for these. By far the best thing I did was prepare and freeze a ton of dinners. This is not new advice. But I took it with gusto and I am pretty proud - eight weeks after Sophie’s birth, we have one more frozen bag left. Not only did this food sustain us when I couldn’t even remember how to use a can opener, it helped me prepare for her arrival. It helped to (finally) slow down, and savor that last bit of time “alone.” It allowed me to listen to podcasts like The Daily and Taste. I made: chicken soup with orzo, butternut squash soup with apples, pasta e fagioli soup, pulled BBQ chicken, slow-cooker brisket, and turkey chili. The only thing I wouldn’t make again is the brisket, but it was still good. I was going to make three more recipes, but our darling Sophie arrived one month early. Side note: I liked the Dinner: A Love Story blog before I had a baby, and now I have developed a deep obsession with it. I want to hug Jenny’s first cookbook and read it every night. So many of her words speak to how I feel as a new mother, and how I want my family to be. This would make the best gift for any new mom - make and freeze something delicious, write the date in Sharpie, and bring it straight to her freezer. While we’re on the subject of food, Sophie has enjoyed quite a few restaurant meals already. 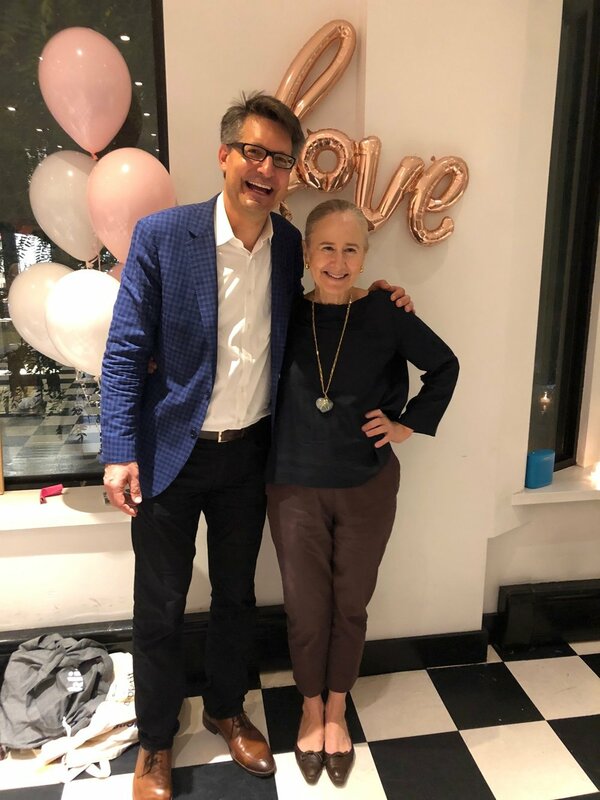 I took her to Ristorante Morini for a ladies’ lunch before we went to The Met; we took her to brunch at Loring Place (new favorite NYC spot) and for a festive outing at West Village favorite Rosemary’s; she’s been to Heights Cafe and Gallito’s Kitchen in our neighborhood. NYC, in general, is a great place to have a newborn. I’m able to get out and about without feeling stuck in our apartment. If only I didn’t have to lug that stroller up and down so many stairs. Part of me wants to show her the world; part of me wants to never leave the bubble of our cozy little apartment. I will always treasure this time. The Waiting Game - Welcome, Baby Girl! LIFE! You can’t control a thing. I wrote the post below exactly one day before my water broke at 2am and we rushed to Mount Sinai for an emergency C-section, thanks to breech position and a few other things. We had just gone to the doctor that day, and they said they were likely going to push out our October 25 C-section for November 7 or 8th, much closer to her due date. HA!!! I’m still going to post it - and I will also say, welcome to the world sweet Sophie Lyons, four weeks early! Who are you? Who will you be? Will you have hair? Will you have Alex’s smile, like I’m convinced you will from the ultrasound photos? I feel you kick (you love Lady GaGa!) and I waver between desperately wanting to meet you (and honestly…wanting my body to be my own again) and being close to tears because I know you’ll never be this close to me again. I feel like I’ve experienced the gestational period of an elephant (95 weeks), and yet it’s all a rush at the end. I was so sick at the beginning – until 18 weeks! – and could handle eating only white rice with butter and salt, Bagel Bites, and these egg sandwiches. At least I ate a lot of kale until the nausea set in, and then tried to make up for it when I felt better. Maybe you’ll love sardines and anchovies like I do. I took you out to Via Carota for lunch when I finally started to feel better. Your hands are always stretched above your head in ultrasound photos, like I often sleep at night. Your dad speaks Swiss German to you already. Sometimes I get nervous about raising a kid with roots in two countries - all I wanted was a real home growing up and I am determined to give that to you. I don’t want you to ever feel torn between two places, but rather, so lucky that you get to feel at home in Switzerland and the U.S.
A lunch date when I started feeling better. I dreamed of having October to take long walks around New York, nesting and waiting for you, but the first half of October felt like the hottest days in July (I’m so grumpy when it’s hot and humid), and it turns out, we had to schedule having you on October 25th! Also, thanks to oligohydramnios and your breech position…I have to drink more water than I ever have, and find a bathroom every ten minutes, which makes those long walks slightly more challenging. I’ve packed my freezer with food. I’ve washed all the baby clothes I can and the sheets. How lucky we are and how lucky you are to be born into a home where you will be loved and clothed and fed. My empathy for those who struggle with this has increased exponentially. It still feels like the strangest moment in time ever - where everything feels normal, and yet nothing is normal. I’ve never spent this much continuous time in New York City since moving here. And it finally, finally feels like we have slowed down, to wait for you, to get ready for you, to think about you before you come into this beautiful, crazy, heartbreaking world. You are loved, sweet baby girl. And we can’t wait to meet you. Does anyone else have trouble celebrating? 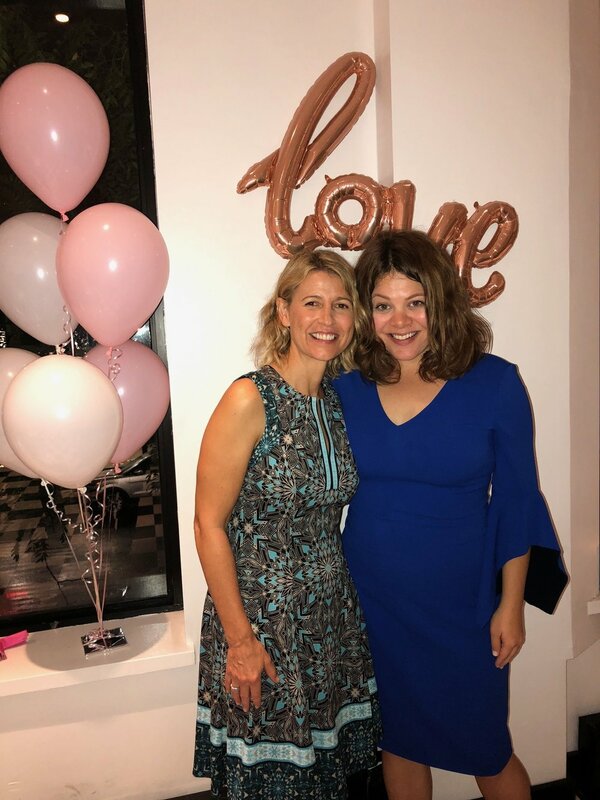 I would never have agreed to a shower, but I’m so grateful to Devon Fredericks and Christina Riggio for hosting a surprise baby/wedding shower at E.A.T. on Madison Avenue and to the Virtuoso content team for a surprise shower (and amazing magazine cover) in Las Vegas at the Bellagio. 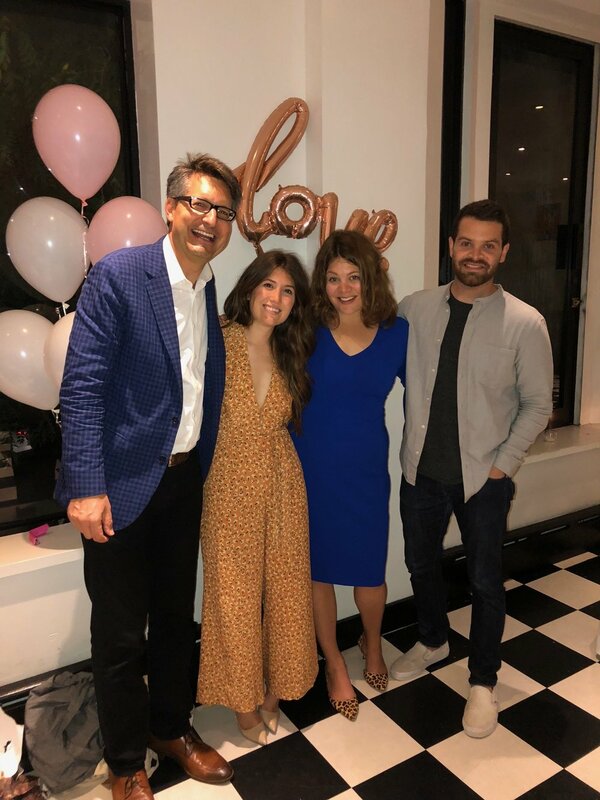 It was so special to take time and celebrate this baby, when the world moves a million miles an hour.